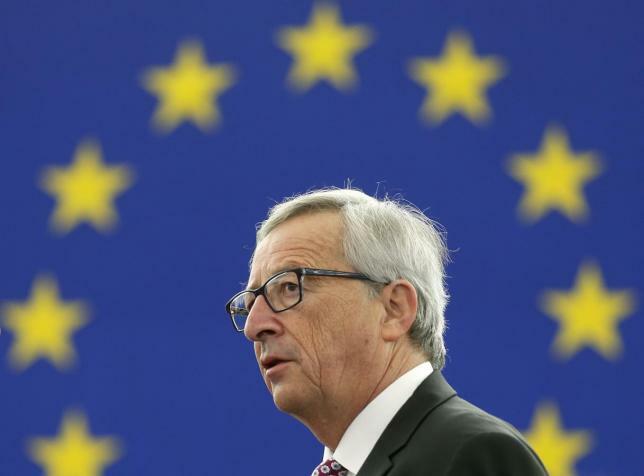 JUNKER PLAN: A COSMETIC CHANGE OF DISCOURSE? Although it is clear that the discourse of austerity is changing and that since some months it is beginning to be contested by some voices of mainstream and established analysers, we are completely aware that the Junker plan would not mean the end of austerity. A more positive approach championed by United States and Japan that promotes the expansionist economy is pulling the European institutions, which as guardians of the austerity, are witnessing in front of their own eyes how the constraint policies are becoming more and more perceived as a limitation of the growth, and overall, a pessimistic message. Even so, we fear that the plan that Mr. Junker presented to the Parliament next week it is only that: discourse. Of course, we could do nothing but to support the shift from austerity policies to investment-led policies, but we have to highlight that the proposal of the Commission it could be hardly defined as a real investment plan, as long as it not has fresh additional money. We think that this is a cosmetic solution only to follow the prevalent discourse and we request the Commission to add additional money on the system, instead of repackaging existing funds. As for the multiplier effect of the guarantees (1€ will deliver 15€ as investment), we believe that is simply not acceptable and this is another reason for this plan to not be taken seriously. Moreover, even the Commission has secured a guarantee for the money, the citizens don’t have a “social guarantee” that the investments will go for the most deprived and poorest regions and to the right economic sector. EFAy calls for a real investment plan that would be able to deliver additional funds to the system, aimed to address real social needs with the fight against unemployment (especially in the South and for the youngsters) as its overall priority, and that this investment would comply with the sustainable development principles. Additionally, as a party that advocates for the decentralisation and subsidiarity, we refuse that the management of those investments would be centralised in Brussels or in the capitals, and we urge to the European Institutions to engage the regional structures as an active partner in the execution and management of these funds. ← Dette grecque : Le suicide collectif ou le sursaut européen ?